At A.F.P. we manufacture your pharmaceuticals for application on the skin. According to § 2 (1) no. 1 AMG (Medicines Law), Pharmaceuticals are preparations made of substances that are used on the human body and as a means of preventing human diseases or determine pathological disorders. 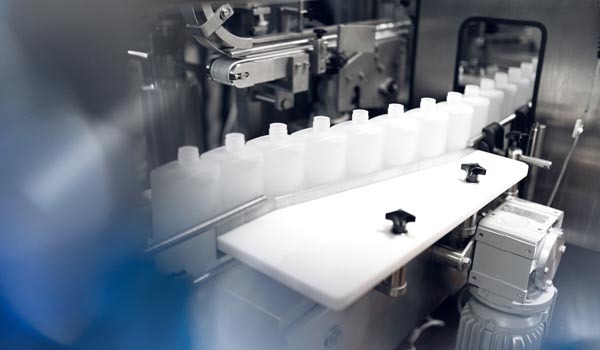 For over 30 years we have been in possession of the manufacturing license for pharmaceuticals used for disinfection. The production and filling of pharmaceuticals are carried out in cleanrooms at A.F.P. and strictly in accordance with the Good Manufacturing Practice (GMP) for investigational medicinal products. Upon request, our experts will place your pharmaceuticals on the market in accordance to AMG (Medicines Law). Just like pharmaceuticals, detergents for the pharmaceutical industry are produced at A.F.P. in line with the guide to Good Manufacturing Practice (GMP).